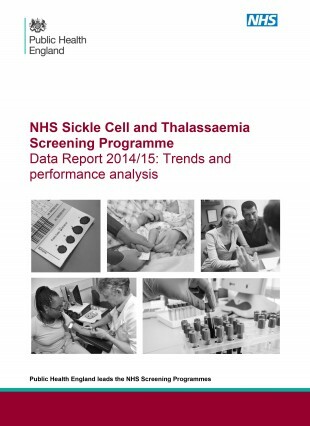 Every year, we, the NHS Sickle Cell and Thalassaemia (SCT) Screening Programme, publish a data report, which evaluates the performance of the programme. Our latest data report, 2014 to 2015, has just been published. This publication brings together data collected from sickle cell and thalassaemia screening laboratories. For the first time, we also looked at the processes in newborn screening. The data indicated that 99% of screen positive babies had their initial clinical referral by 8 weeks of age, suggesting that the programme standards for effective follow-up of infants with positive screening results are both realistic and achievable. Approximately 86% of screen positive babies were reported to have had their first visit to a paediatrician at a specialist health team or local health team by 90 days.